Originating from the Japanese culture, matcha is a powdered green tea, which is among the highest quality teas available in the market. 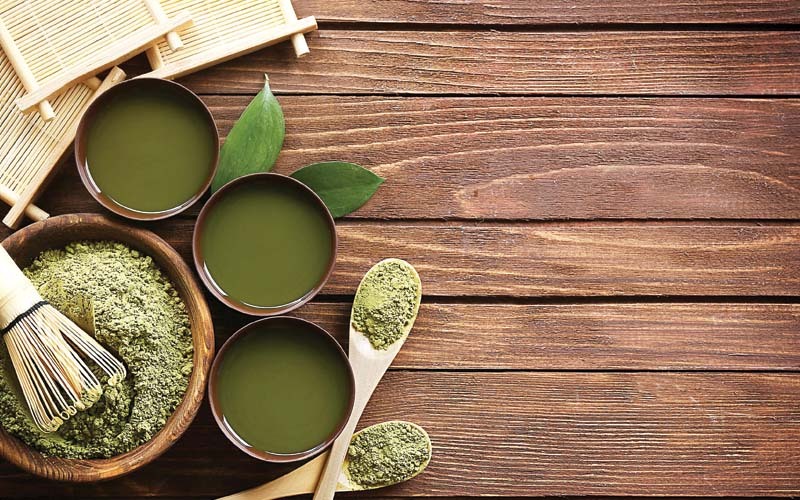 While regular green tea has long been touted for its health benefits, the matcha variety has gained considerable popularity among nutritionists. Made from the leaves of the shade-grown Camellia sinensis plant, this miracle elixir is considered to be one of the most powerful superfoods today. High antioxidant content. As you know, antioxidants are essential nutrients that help fight UV radiation and help keep your skin looking younger. They can also help guard against a number of life-threatening illnesses. While you can find antioxidants in raw fruits and green veggies, just one bowl of matcha is believed to provide over five times the antioxidants as there are in any other food. Of all the antioxidants, epigallocatechin gallate (EGCg), recognised for its cancer-fighting properties, is present in matcha (over 100 times more than any in other tea in the market). Calms the mind. It’s believed that matcha green tea was consumed by the Japanese Zen Buddhist monks and Chinese Daoists to relax while meditating. Due to the presence of L-theanine, an amino acid contained in the leaves that are used to prepare matcha, these spiritual seekers gained a heightened state of consciousness. This amino acid produces dopamine and serotonin, chemicals that are responsible for enhancing your mood, improving memory, and promoting better concentration. They also help in the production of alpha waves that relax the mind without inducing drowsiness. Increases energy levels. It is believed that Samurais, the noble warriors of early Japan, drank matcha green tea before entering into combat, due to the energising properties of the beverage. While the energy boost that matcha gives is due to its unique combination of nutrients (not the caffeine content like most other teas), a bowl of matcha tea provides enhanced endurance that can last upto six hours. It was found that matcha drinkers do not experience any of the usual side-effects of stimulants, such as nervousness and hypertension, because of the effects of L-theanine. It’s a pure form of energy. Burns calories and detoxifies the body. Drinking matcha speeds up the metabolism and helps burn body fat four times faster than average. It does not cause any negative side effects, such as increased heart rate or high blood pressure, and yet it acts as a powerful detoxifier capable of naturally removing heavy metals and chemical toxins from the body. Fortifies the immune system. The catechins in matcha green tea have antibiotic properties. A bowl of matcha contains substantial quantities of potassium, vitamins A and C, iron, protein, and calcium, which help build a strong immune system. Furthermore, some studies suggest that matcha has the ability to suppress some of the symptoms of HIV. Improves cholesterol levels. Matcha green tea has a positive effect on cholesterol levels. Studies conducted on different groups of people show that people who drink this tea on a regular basis have lower levels of LDL (bad) cholesterol, along with increased levels of HDL (good) cholesterol. 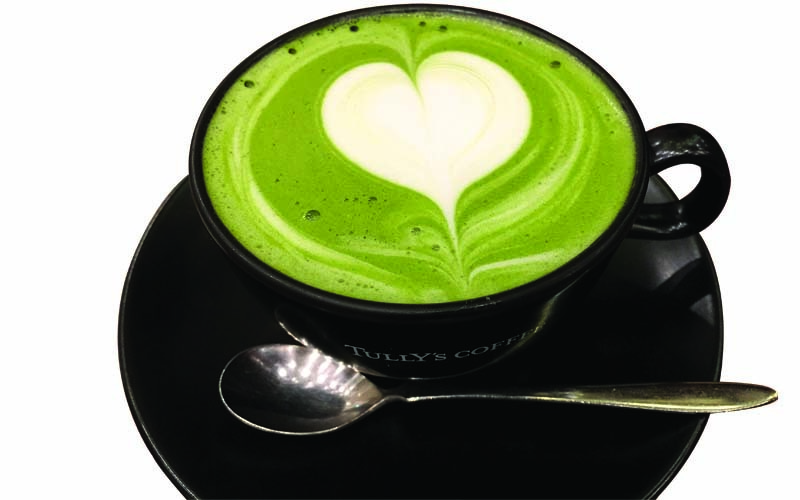 Other work suggests that those who drink matcha green tea are about 11% less likely to develop heart disease than those who don’t. Tastes great! Matcha is amazing by itself, as there is no need to add milk, sugar, or lemon to make it palatable. It has a vegetative taste that is complemented by the L-theanine amino acid content. This makes matcha a truly unique tea in every way. So, relax and enjoy a delicious bowl of hot matcha!